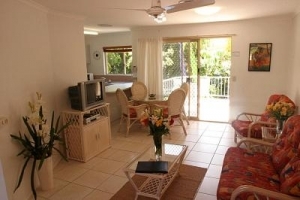 Clearwater Noosa offers self-contained 1,2&3brm apartments, designated non-smoking, serviced weekly; set in tropical gardens. Fully equipped kitchen, single and queen size beds, phone, Cable TV, video, ceiling fans, laundry, balcony or patio. Cot/highchair available (charge), air-conditioning available. 2 swimming pools (1 heated), barbecue, undercover parking, tour desk, fax facilities, babysitting on request. 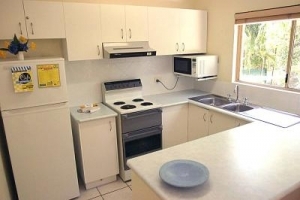 Located only 80m from Noosa River and Gympie Terrace with restaurants and cafes. From Clearwater, you can swim in the crystal clear water of Noosa River; stroll or pedal along the beautiful river promenade, catch a river ferry or take a short drive to Hasting Street and the Noosa national Park.